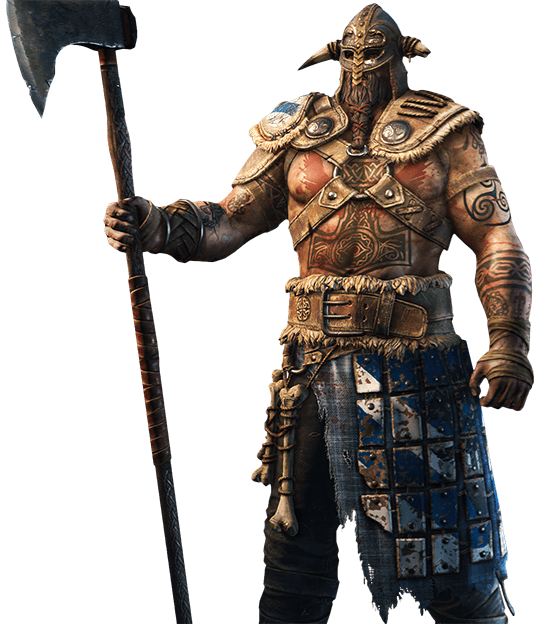 For Honor Raider Guide, a list of all available Move-sets and Button Combos. Quickly view and Learn the Special capabilities and different tiers of feats unique to this single Hero. Versatile and Stong Throw Attacks, Stun attacks and throws, Unlockable zone attack usable within all of the chain attacks. Your Attack is Unblockable and can be used along with any chain. Hold/Release MMB (PC), X (XB1) to manage exactly where you would want to Throw the enemy. The enemy loses Stamina each time he knocks a nearby hero. Hold/Release MMB (PC), X (XB1) to manage the character’s Spring Distance. Can knock down the opponent while running. Stuns Grabbed opponent if knocked into wall. Cancel any type of Heavy Attack startup with any type of Light Attack. Can Stun opponent. Rush – Trigger this to gain movement speed for a short period of time. Body Count – Passive feats – Killing soldier will grant you stamina and health. Tireless – Passive feats – Lose stamina at a lower rate. Bear Trap – Medium damage trap that will stops victims dead in their tracks. Inspire – Passive feats – Allies will inflict more Damage, and soldiers will fight faster. Marked for Death – Passive feats – Reveal the target position and then lower it’s Defense and Attack. Battlecry – Increase your ally Damage and makes the enemy soldiers flee. Fury – Raise your sprint speed slightly and defense and attack greatly. Second Wind – Restore some of your health. Slippery – Activate ability to auto block grab any attempts for a short period of time. Stalwart Banner – Nearby allies will continuously restore health. Fire Flask – Throw a projectile at enemy creating a fire area of effect. This section of the For Honor Raider Guide is focused on Gear Building, below we list the best stats to build on Raider’s Gear. This Viking Hero has Very strong grabs and a sweeping unblockable that can catch many players off guard. Very straightforward but for this same reason can make him weak versus experienced players. This section of the For Honor Raider Guide will explain a little more about this heroes strengths and weaknesses. Examining the play style and the type of characters that counter this hero. Like with most Viking this hero is a strong offensive character, specifically with the ability to pick up the enemy and carry them into a wall for a stun or simply toss them off a ledge. Offensive as this hero is he still has his weaknesses, one of them being his short range on Light Attacks. Light Attack Have Really Short Range.